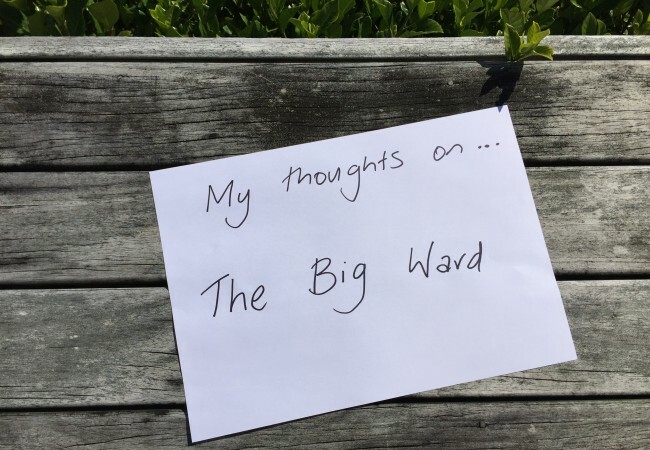 When I saw that TV2 had a new show following people through the process of having bariatric surgery I was really pleased and couldn’t wait to see The Big Ward. Bariatric surgery is becoming more and more common in New Zealand and I think we need to talk about it more in a positive way to start reducing the stigma that is attached to it. 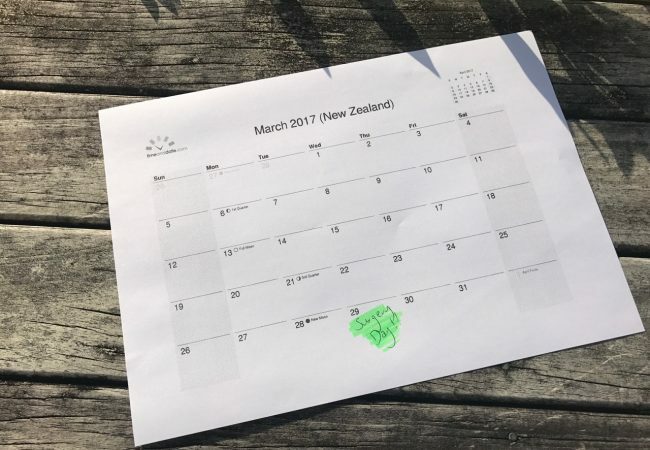 Part of why I started my blog was because I don’t think it’s talked about enough in New Zealand, especially by people who have experienced it and I was glad TVNZ were giving it some attention. The series was based in the Counties Manukau DHB and that’s something to consider when they talk about qualifying for the surgery as all of the DHB’s have different qualifying criteria. One of the health professionals described a potential candidate who essentially could have been me and said they wouldn’t have got the surgery. If you have been thinking about bariatric surgery please don’t let the things said about qualification in this show put you off applying because you never know, you might get through. Also if you decide to go privately and pay I think BMI is the main qualification point for the surgery. I really liked how they focussed on the importance of losing and maintaining weight loss before the surgery. There are so many changes that you need to make in your relationship with and behaviour around food that I’m glad they didn’t brush over it. I’m also kind of glad not all of the people followed in the series got on the surgical list on their first try because it does take some people longer than others to make the changes to succeed at that first hurdle. I think they did a good job of choosing a range of people who they followed I didn’t relate particularly closely with any of the participants but I have talked to other post-op bariatric people about the show and they did so that’s great. I was a bit disappointed with the pre surgery habits they focussed on and really played up to the camera. I saw it reinforcing the stereotypes much of society have about larger people and their assumed eating habits so that upset me a little bit. I don’t think that the majority of obese peoples diets are like that so it seemed a bit off to me. The focus on exercise was great and I think they got across really well how things have to change in that respect to be successful long-term after surgery. It was good they showed a range of different ways of getting fit and starting with exercise because ultimately we all have different ability levels and enjoy different things. One of the things I enjoyed most about the show was watching the participants achieve their exercise goals after surgery. I know they would have felt like it was a big goal post-op and weren’t entirely convinced they would ever achieve those goals. Next time, I would like to see a range of procedures covered as well. Gastric sleeve was the only operation mentioned and performed in this programme and it would be great to see gastric bypass and duoduenal switch presented as options for people as well. They are all different procedures with different outcomes and different ways of living with them long-term so it would be nice for people to know there is more than one option. Also I think it would have been great if TVNZ had mentioned the saving to the health system long-term by these people having bariatric surgery and solving their obesity related conditions such as diabetes. They did mention a few times about the public funding and how restricted it is so it would have been good to see a flip side to it. My only other bugbear with the show was the way some of the participants were questioned by the voice behind the camera. One participant was asked if now that she had lost so much weight was she considering skin removal surgery. She ummed and ahhed a bit and then said something like she might consider it in the future. The voice behind the camera then said, “Oh well that’s a bit soon to be thinking about that don’t you think?” Yes it probably was but it seemed like until she was asked she hadn’t really thought about it. I realise they have to make it interesting and ask pointed questions to make it interesting but I thought it was a bit mean. I think The Big Ward was a really good start for TVNZ. It helped to open up discussion for some people I’m sure, and I hope some people who had been thinking about it have now taken steps to start their own journey if it’s the right thing for them. More importantly though, I hope it had an impact on at least one person who didn’t realise this was even an option and is desperately worried about their health. Bariatric surgery is not the right choice for everyone and it’s a decision not to be made lightly but I have gained so much of my life back and my health has improved so much that I really hope it reached the people who will benefit most from it. I want to say a big thank you to the participants who agreed to be on the show. You were all so brave to choose to go down this path to start with and to agree to have it filmed and watched by the nation is admirable. You have all helped more people than you know in more ways than you could begin to imagine. I wish you all the absolute best in your journeys and hope I bump into you one day, I probably won’t recognise you if I did though! 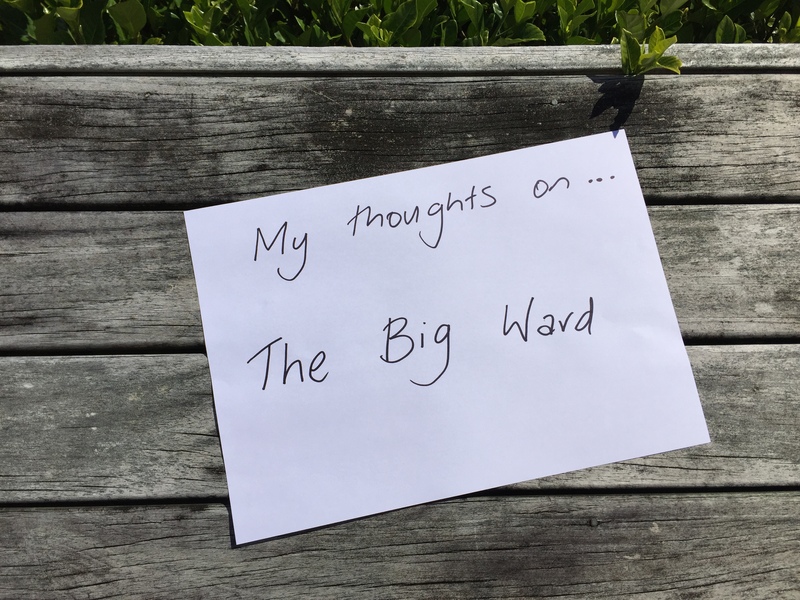 Did you watch The Big Ward on TV2? What did you think? Comment below and let me know. Please note I will be careful what comments I approve on this post. Anything said about the participants that I wouldn’t want to read about myself won’t be allowed. I found The Big Ward very educational. I have heard about Bariatric Surgery, but didn’t understand the process leading up to the surgery, during and what happens after. If TVNZ makes another season then I do hope they present other options as well and stop asking questions like the one you mentioned. I’m glad to hear you found it educational. There is so much about the process that people don’t realize so that’s great. I really wanted to see what happened with the Samoan lady who didnt feature in the final. She was so lovely and I really felt for her. But I felt she possibly learnt the most about diet and eating real food due to her initial challenges. It angered me when the nutritionist told the younger girl to drink protein shakes instead of eating real food! 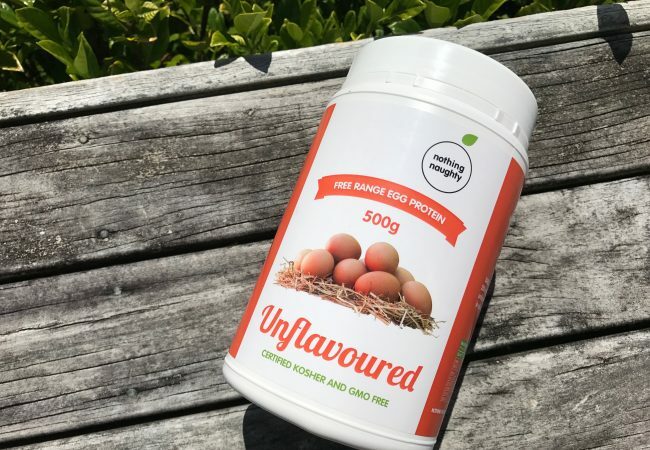 At some stages, especially earlier on you need protein shakes to make sure you reach your protein goals but I agree after a certain amount of time you really do need to transition onto real food and not rely on other protein rich products. I don’t think she got the surgery in the time frame of the program being filmed but I hope she did eventually. I think advice to younger girl was correct (episode 9?) she needed more protein and water to help with dizziness, it’s just she wasn’t told what product and chose a high sugar one by mistake. I had dizzy days early on too but they were random and not very often. It’s a shame she chose the wrong one but I think that was useful to highlight the importance of reading food labels. I’m torn between wanting the programme makers to have downplayed the harder stuff so as to not put people off and the opposite because I don’t want anyone to think I had it easy! The participants were so brave and I loved Maria’s son – what a dude going swimwear shopping with his Mum! I did hate the cliched shots of biscuits and cakes and icecream because my obesity didn’t involve any of that sort of thing. I agree! For many of us those things weren’t the picture of obesity but for some I guess it’s a close representation. I do hate that it helps to reinforce the rhetoric in society that that’s what obese people eat all day though. I think we have to remember that with it being made to entertain the producers wanted to play up some of that for the viewers (Annoying as that my be to us!) I’m really glad to hear you feel my blog is a safe place. I try really hard to make it a positive, supportive environment so I’m glad it comes across that way. I really enjoyed the show and the surgeon on the big ward Richard was my surgeon but through private surgery. he is an amazing guy who truly cares. I found the show to be very much the stereotypical overweight person with bad habits when this is often not the case at all. I learnt a big lesson about the affordability of healthy food for many people I’ve never taken much notice and am lucky enough to not think about what I spend on food each week but I see the struggle is real for many and it’s very sad. I can honestly see why they make those decisions to eat cheap takeaways. I think the series was good as it shone a light on the obesity epidemic in NZ. I also would have liked to see if the lovley Samoan lady who lived with her mum managed to make it though I felt for her she really lacked food education self confidence it was quite sad I felt she truly could have benefited from the surgery. Overall I’m glad I watched the show I think maybe they could have spoken more around overall timeframes like from original visit to surgery day for the patents as I know the wait can be long the show made the process seem quite easy I thought. From the healthy food affordability aspect I am quite glad they based the show where they did. I really don’t think many people realise actually how hard it is to eat healthily when you are on such a restricted budget. Another point they could have covered is the vitamins we HAVE to take for the rest of our lives that we have to fund. There certainly is an ongoing cost for bariatric patients. I agree, covering the timeframes more would have been good. I think some people get disheartened by how long it takes but in the public system that’s the reality. 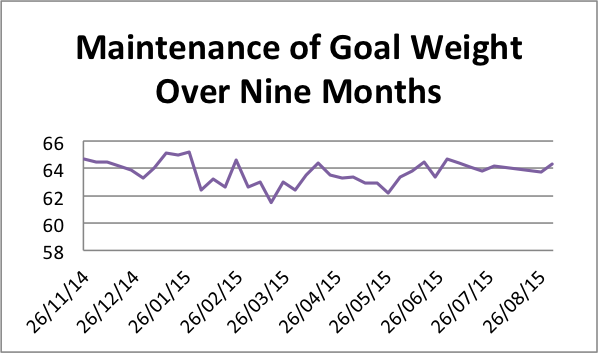 It took me 10 months to get from my GP’s referral to getting my surgery and I went through meeting my goals at each point so wasn’t slowed down by anything. Thanks for sharing your thoughts with me Michelle! Hi..The Big Ward are filming the next series right now. I am one of the new participants. My surgery is different than the first because I am having a lap band removal and gastric bypass done . I really hope that more people watch it. I’m looking forward to sharing my story with NZ. Hey Mel, thank you for being brave and sharing your story on the upcoming season. It’s great to hear that they are including a bigger range of stories this year because I think it’s really important to show the variation between the procedures and people receiving them. I will be avidly watching the next series so I can’t wait to see how you go!